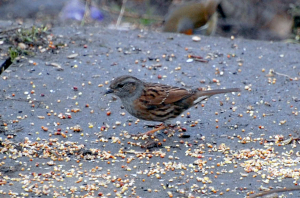 Observation - Dunnock - UK and Ireland. Description: Like a sparrow but with a thin, sharp beak. Like a sparrow but with a thin, sharp beak.